Barr Aquatic Systems is dedicated to providing quality equipment at a fair price. We use the latest 3D modeling tools to develop our products, backed by hands-on testing on real reef tanks. All of our equipment has been individually tested and approved by reef enthusiasts. * 3D printed designs * Many new designs are becoming available, check back often! All 3D printed designs are available in-stock, or on short lead time for small quantities. Are twist-lock flanges included, or even available? Do they counter sink every tube glue joint for strength? Do they use 3/8" cast acrylic on all flanges, or go with cheaper 1/4"? Do they use cheap white PVC fittings, or heavy duty SCH-80 fittings? Is the Beckett injector secure yet easily removable, or is it simply wedged in to a piece of pipe? Is the gate valve threaded on both sides, or is it glued to the box (not replaceable or cleanable)? Does it even have a gate valve? Can you break it fully down for cleaning (no blocked chambers)? If the answers to all the above are not YES, then you are not getting what you paid for. Many places claim to be high quality, but very few of them truly understand the term. Check in to their claims. 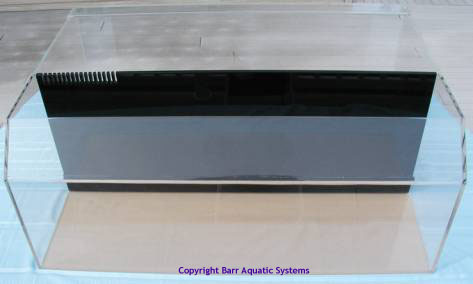 You will not be able to find a higher quality design than a Barr Aquatics design.